That’s how I remembered the time in 2006, when students and faculty eagerly prepared to move from scattered, rented classrooms and labs into our own new building on Center Street. As I looked into attribution for those memories, I got deeper into the narrative. Who knew it would be so difficult? Fortunately, Hannah Chauvet’s Multimedia Arts 198 class conducted many insightful interviews in 2014 to document BCC’s fortieth anniversary. Jenny Lowood, one of the interviewees and longtime chair of the English Department, gave me a 2009 BCC catalog that neatly summarized key dates and evolving concepts. The college started with an impetus for alternative post-secondary education. In line with this, the Learning Pavilion’s name was changed to Peralta College for Non-Traditional Study in October of 1974. BCC Professor of History Chuck Wollenberg, in his 2014 interview with the Multimedia Department, described this new approach to education as “life-long learning.” The “college without walls” responded to business, industry, and community needs by offering vocational, business, art, and creative options in twenty different locations. By using non-traditional locations like the West Berkeley YMCA, Summit Education Center, Oakland Army Base, St. Mary Magdalene School, and the North Berkeley Community Center, as well as under-utilized classrooms at Berkeley High School and U.C. Berkeley costs were kept low, pleasing PCCD administrators and developing a tradition of flexibility and innovation. In 1978, the school changed its name again to Vista College. By 1981 over 200 locations were hosting courses. But by this time, the community service approach was losing favor with state legislators. The funding formula began to focus more on degrees and transferable credit. College leaders, considering these changes and the need for accreditation, decided that a more traditional model was needed for Vista. However, offering more credit transfer and career tech courses put Vista in direct competition with the three older Peralta colleges: Laney, Merritt, and Alameda. In the developing rivalry, Berkeley had the advantage of lower operating cost because of low rent and mostly adjunct (part-time) teachers. But the lack of a permanent location made Vista more peripheral and more expendable. They exploited this weakness whenever cut-backs were needed. Former PCCD Trustee Tom Brougham (1987-2000) stressed this in a recent interview with The BCC Voice. Brougham characterized Vista in his era, as the least established, but most productive and innovative of the district, but said the Trustees had a persistent dynamic. Whenever they needed to chop their budget, they would resist any district-wide reform and vote instead to chip away at Vista. Yet, when new state funding was available, Vista would respond rapidly by bringing new money into the district. A PCCD chancellor in the mid-90s, Dr. Robert Scannel, was aware of this value and resisted efforts to close Vista. He was fired by the Trustees. Brougham said this triggered the “deannexation movement,” an ultimatum in which Vista threatened to break away and form its own district (taking Berkeley’s affluent tax base with them) unless the PCCD granted funding equity and a permanent campus. Their petition was from the community at large and had strong support from the faculty, but a few didn’t want to rock the boat. Wollenberg recalls exciting secret meetings with other “rebel” faculty. Jenny Lowood remembers joining the faculty in 1989 as an adjunct. There was a sense of equality among the part and full-timers that was not reflected in PCCD’s budget allocation. Based on “full-time equivalent students” Vista was not getting its fair share. The college was bringing in $5.5 million a year, but PCCD’s budget for Vista’s operating expense was only $3 million. Enter the “Cash Cow,” a cow mascot designed to literalize the metaphor. All school districts in the affected cities needed to be convinced so, in addition to a Powerpoint presentation explaining the math, the Cash Cow would amble in to highlight how Vista was being used and drained, with the cream flowing elsewhere. Now Chair of BCC’s Modern Language Department, Dr. Fabian Banga played the cow’s rear end. Capping a 2-year effort, in November of 1997, the Board of Governors of the California Community Colleges voted to place deannexation on the June 1998 ballot. Voters of the whole PCCD would decide if Vista should separate from the cities of Alameda, Oakland, and Piedmont. Then it got even more contentious. The PCCD Board filed a lawsuit against the state board. Three months later Alameda County Superior Court Judge Henry Needham ruled that splitting the district would significantly affect the racial composition. A San Francisco Chronicle article on March 6, 1998 cited an analysis by the Alameda County Office of Education: the new Vista district would be 63 percent white and 17 percent black, while the remaining PCCD would be 40 percent white and 37 percent black. Finally, cooler heads prevailed. In return for giving up deannexation, Vista was promised a new building and equity funding from the District. Ground was broken in 2004. After much discussion, a new name was chosen once again. 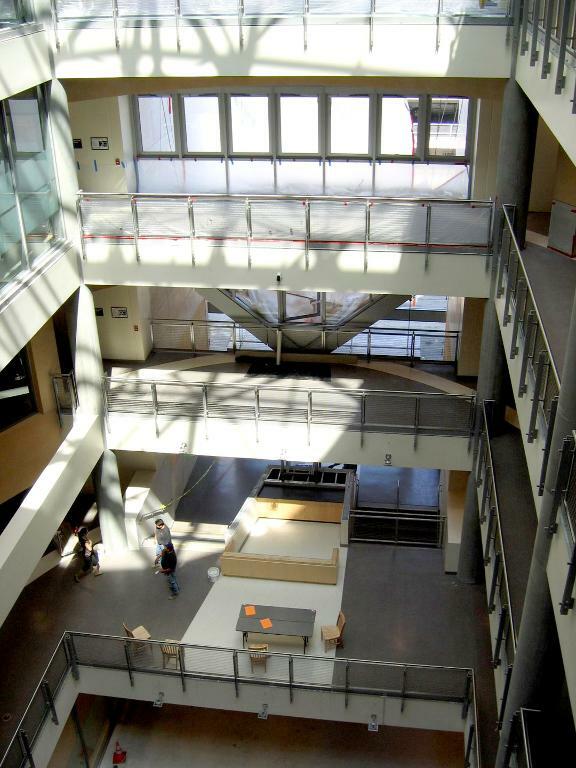 In 2006, Berkeley City College students began their fall semester in an almost finished building.